Apple will reportedly unveil a MacBook Pro 2016 version this coming June, this is according to the latest reports. This will come as great news for lovers of Apple’s MacBook Pro as they will be treated to a newer version of this laptop that promises better performance and even greater design. There is even more exciting news as the reports further claim that Apple will be releasing the MacBook Pro in three variants. 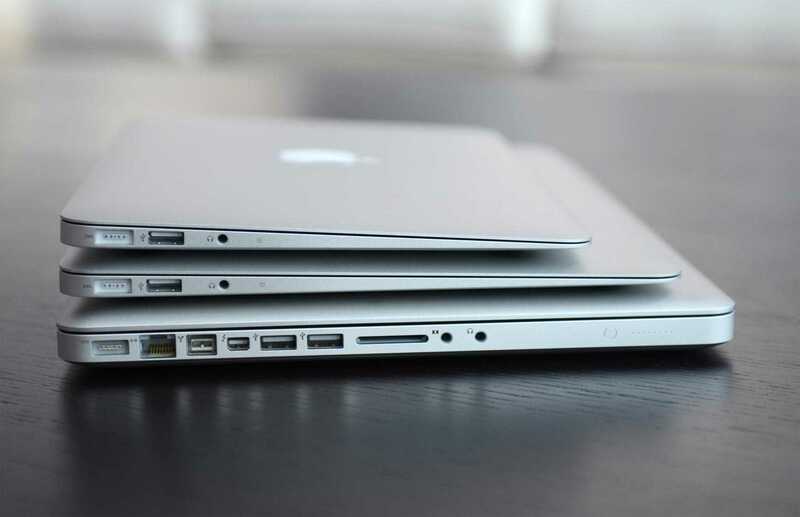 If the latest rumors are to be believed, Apple will release three variants of the MacBook Pro. The three will have conspicuous differences in terms of size, with one having 12 inches, another 13 inches while the largest of the three will pack a 15-inch display screen. As far as the processing unit is concerned, it is believed that Apple will go for the latest generation Intel Skylake chipset, something that will ensure the performance of the MacBook Pro 2016 is a lot better than its predecessors. In addition, it is said that this Skylake chipset enhances power efficiency and eliminates or rather improves the chances of having even slimmer laptops. If this is true, then we’ll have a trend where major computer OEMs are going for the latest Intel Skylake chipset for their refreshed laptop models. Apple will be joining the likes of Microsoft, Dell as well as HP in using the latest generation chipset from Intel. Further reports indicate that this year’s MacBook Pro will carry USB-C port, something that has started showing up in quite a number of flagship smartphones being released this year. While earlier reports had suggested that Apple will release the new line of MacBook Pro alongside the iPhone SE and iPad Pro, this did not materialize. As it seems, Apple was more focused on the iOS end rather than the OS X end. In 2015, Apple refreshed the MacBook Pro line for the currently available 13-inch and 15-inch models. With 2016 already done with Q1, expectations have started hitting rooftops as enthusiasts dream of upgraded versions of these laptops. Things started getting hot when Apple started offering discounts for those buying the currently available MacBook Pro models, something that usually happens when a company is planning a new launch and wants to create room for the new product. Apple is known for the way it handles its upcoming developments. With this in mind, it is better to take this with a grain of salt as it is based on rumors. Next Next post: Has Google Failed to Revive BlackBerry Mobile Division?